Unless you're nuts, you'll realize that having a squirrel on the end of your arm is way more interesting, though less practical, than your boring old hand! 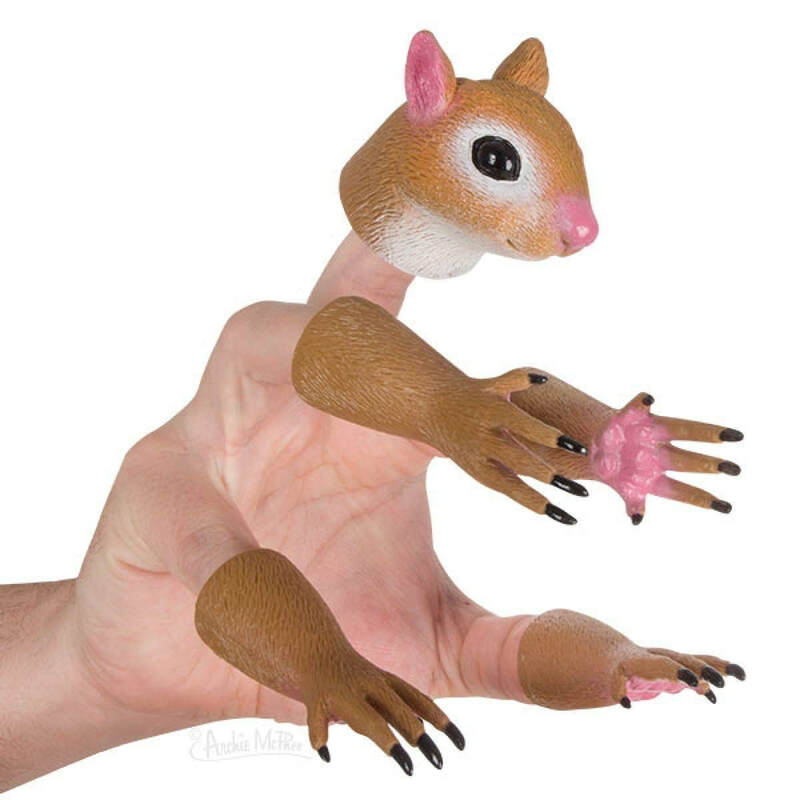 This set of five soft vinyl finger puppets (four 2-3/4" paws and a 1-3/4" head) is perfect for climbing trees, getting barked at by dogs and burying food for the winter. Don't blame us if you find yourself breaking into a bird feeder Mission Impossible-style for a few sunflower seeds.